Are you a WordPress blogger who is ready to dump Bluehost? 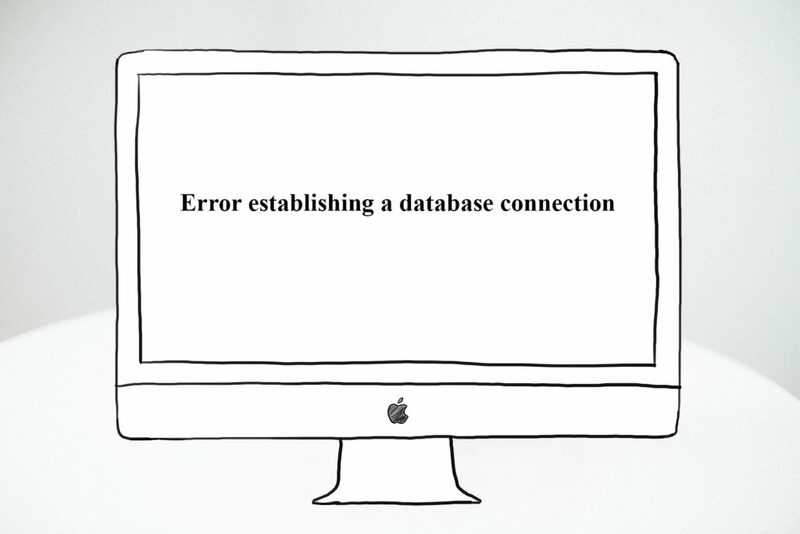 Has your site had too many dreaded “Database Connection Errors” in the past few months? Have your readers commented that they can’t see the most recent posts on your homepage — even days or weeks after you’ve updated it? Were you *gulp* hacked in the past year? You are NOT alone, and you are definitely not stuck on Bluehost. 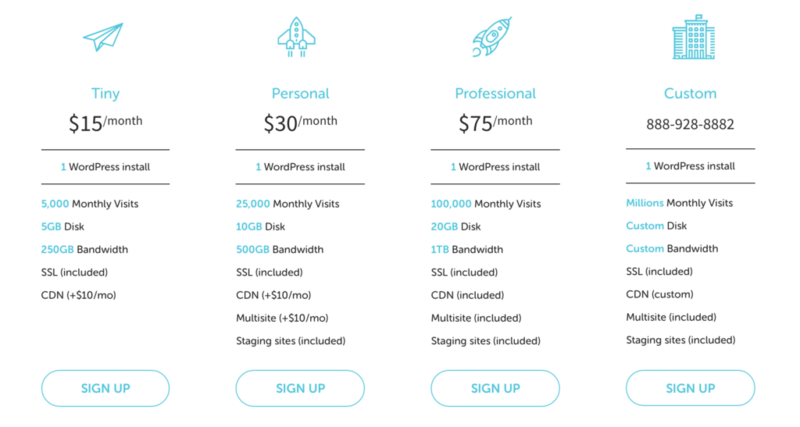 Bluehost used to be *the* affordable web hosting option for bloggers. I’ve even used it for small business clients. But shared hosting just doesn’t cut it in this day and age when every second of page loading time could be the difference in SERP rankings between you and a competitor. To stay competitive in the blogging world, you need to have managed WordPress hosting. 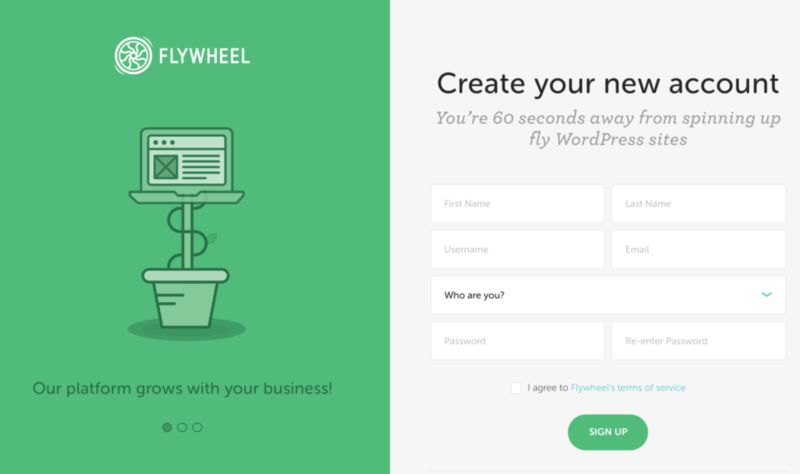 Sign up for Flywheel Managed WordPress Hosting, and they will migrate your site for FREE!! Yes, you read that correctly, and hopefully now understand why Flywheel is basically my hero. They setup your site on their server for free, let you check out the live demo, and make sure it looks okay before you have to pay for hosting. Once the site is migrated, you choose your plan, change your A records, and the rest is history. The reason I switched to Flywheel for this site was because they include a free SSL certificate (which can give you an added boost in search rankings from Google), and have the option to add a CDN (Content Delivery Network) for only $10 a month. CDNs help your site load much faster than a normal server, which is important for SEO. They handle regular nightly backups of your site, take care of any updates to WordPress core files to keep your site secure– so secure, that they guarantee to clean off any malicious scripts should you ever get hacked. When my shared server got hacked last year on Bluehost, I had to pay them $200 to clean off the malware, and put my sites back up. Since my switch to Flywheel, I’ve had no downtime, no security breaches, higher rankings in search, and most importantly– peace of mind. Are you ready to migrate yet? Here are the easy steps to take so you can say buh-bye Bluehost! 6) Submit, and let Flywheel work their magic! You’ll receive an email in 1-3 business days confirming that the work has been completed, along with a link to test out the new site. 7) If you’ve posted any new content since the migration started, you may need to import the new posts manually. To do this, login to your old Bluehost site and go to Tools > Export and choose posts, along with a custom time frame (the current month). 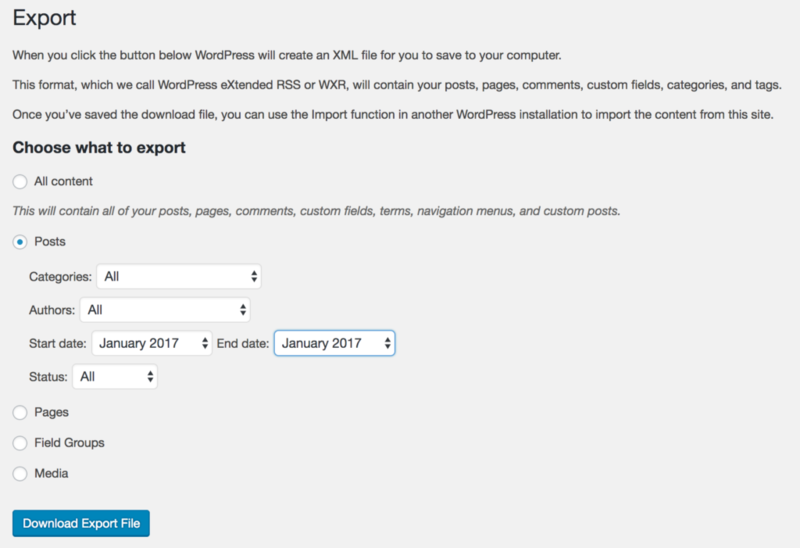 8) Then login to the development site (your username and password will be the same), click on Tools > Import > WordPress and follow the instructions to import the content. Don’t worry if you have extra posts in the file; it will not upload duplicate content. 9) Now that your site looks good, and is ready to go– you’ll need to choose a hosting plan and submit your billing info. Most small blogs can go with the Tiny or Personal plan. The nice thing about Flywheel’s pricing is that they’ll never penalize you or shut your site down if you go over the designated limit for your plan. They’ll just reach out to you and recommend upgrading moving forward! 10) The final step is to update your DNS records. 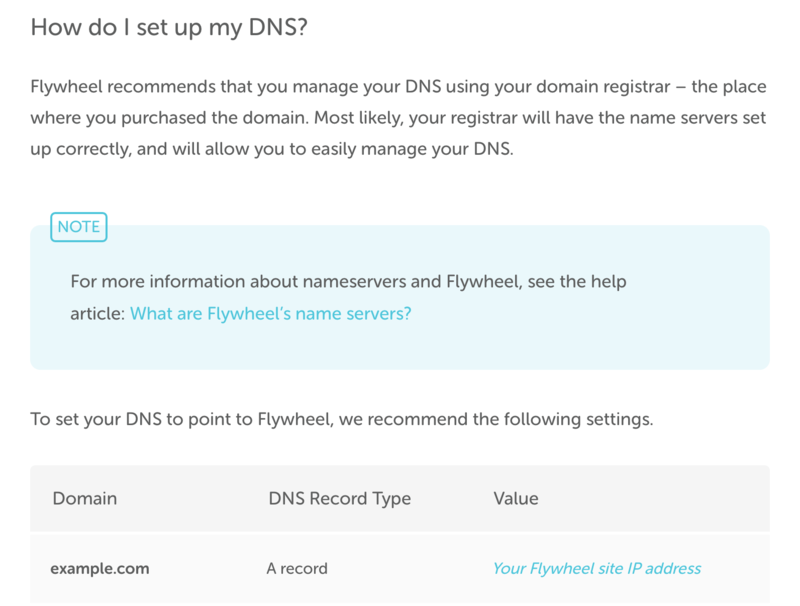 Login to GoDaddy (or whoever your domain registrar is) and change the A record to Flywheel’s IP address. Don’t worry, they have step-by-step details to help you through this simple process. Pop the champagne and toast to your new Flywheel site! And call Bluehost to cancel your hosting subscription so they can get that prorated refund processed– YAY! 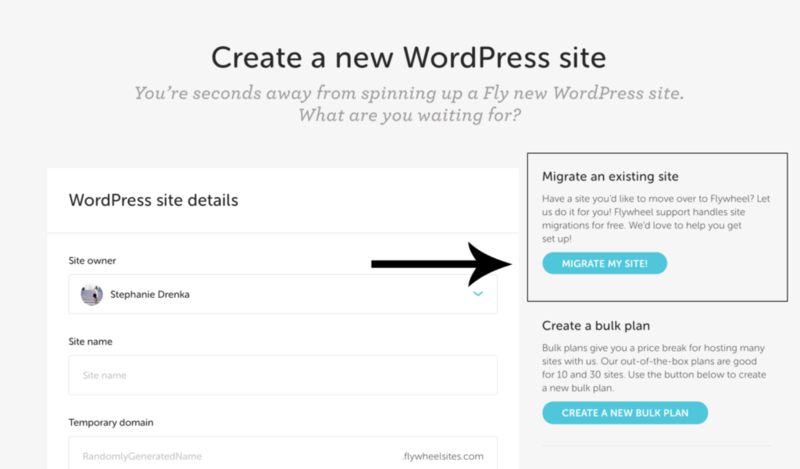 Do you have any questions about the hosting migration process or Flywheel? Leave a comment below or send me an email! Want more tech tips? Sign up for The Fairyblogmother Files for weekly tech tutorials and blogging advice! Haha, I wanted something easy to reference for people who want to switch ! Steph! This sounds fantastic! Thank you for sharing this knowledge with us! You are seriously my savior, woman. I just began a migration thanks to this post. Thanks for a super-helpful writeup!